Perhaps a precursor to today’s Fundamentals of Color course, the “Training of the Color Senses” lecture was held by Albert H. Munsell in 1908 at MIT’s Huntington Hall. At the lecture, Munsell presented the benefits of his color order system as it related to teaching color. Officially launched in 1905 the Munsell color order system had been in use for three years as an educational tool by art educators from a wide geographic area. In his diary, Munsell refers to the early adopters of his color order system as “leading directors and supervisors of art education.” Some of these early adopters included Arthur Dow of the Teachers’ College and James Hall of the Ethical Culture School in New York, Miss Haven of the Kindergarten Institute in Chicago, J. Frederick Hopkins of the Maryland Institute in Baltimore, and R.B. Farnum of the Cleveland Art School, who was a 1906 graduate of Munsell’s alma mater, Massachusetts Normal Art School. Just as Munsell’s color order system is today, back in 1908, Munsell emphasized that his color order system for teaching color was free from personal bias. He explained how his color system was based on what back in 1908 was “the latest knowledge of the action of the eye.” Using the training of the other senses as an example, Munsell described “tempered degrees” as opposed to training using extremes. So for example, he focuses on harmonious middle colors of red, blue, green etc. found on the color wheel and in the Munsell Color hue circle. Munsell even went so far as to criticize the then methods of teaching color using primary colors red, yellow and blue. Instead, the Munsell Color Order System emphasized that red, green and yellow are the “true basis” for teaching color because of the way the retina works. 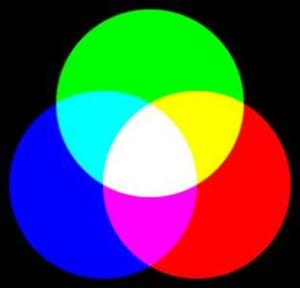 According to Munsell the correct complementary colors are “red and blue-green,” “green and purple,” and “violet-blue and yellow”—very similar to the hue circle. Munsell then went on to describe the three dimensions of color—hue, value and chroma, and according to his diary, those who attended the lecture remained to ask questions. The Munsell Color Order System was taking hold. Get a crash course in Munsell Color notation, including how A.H. Munsell developed his color order system to mimic the way the human eye sees color. A. H. Munsell Color Diary, 1908-1918, Volume B Part 1, pp 242-243. Courtesy of Rochester Institute of Technology, Munsell Color Science Laboratory. on my personal webpage. Will you mind in the event I actuallydo it?